This article first appeared in Personal Wealth, The Edge Malaysia Weekly, on May 1, 2017 - May 07, 2017. 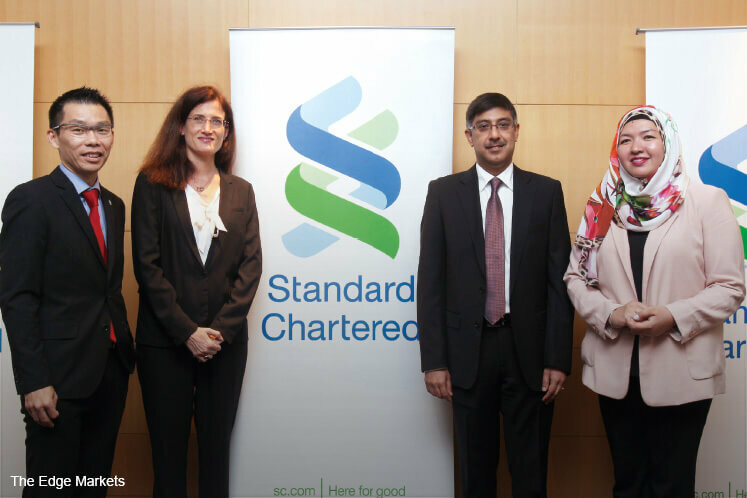 Now is a good time for investors to use leverage via non-ringgit assets overseas, according to Danny Chang, head of managed investments and product management at Standard Chartered Bank Malaysia Bhd. That is because the country’s inflation rate, measured by the Consumer Price Index, rose to an eight-year high of 4.5% in February, according to the Statistics Department. If the ringgit continues to be weak, the inflation rate could remain high. By comparison, fixed deposit rates are about 3%, from about 4% last year. The local stock market has not fared better. “Returns have been about 3% in the last 5 to 10 years. The local stock market is still lagging behind its regional peers despite the recent recovery,” says Chang. He says investors should consider these factors when looking for investment opportunities overseas. By applying leverage appropriately, they will be able to enhance their returns despite the low-yield, low-return environment. Pramod Veturi, country head of wealth management at Standard Chartered Bank Malaysia, spoke to Personal Wealth after the launch of Standard Chartered’s Wealth Power leverage financing facility, which enables investors to magnify their investments by 1.5 to 9 times against their collateral in bonds, unit trusts, structured investments and insurance products for potentially higher returns. The amount of leverage depends on the investor’s financial health. The collateral can also be in fixed deposits. The facility, the first to be introduced by a foreign retail bank in Malaysia, carries more than 150 unit trust funds and an equivalent amount of fixed-income bond securities. Investors who use the facility to leverage are only allowed to invest in these funds. The recommended unit trust funds include the CIMB-Principal US Mortgage Fund, Affin Hwang World Series — US Short Duration High Income Fund, Eastspring Investments Asian High Yield Bond MY Fund and RHB Asian High Yield Fund. Pramod says the facility allows investors to borrow directly in six currencies — the US, Australia, New Zealand and Singapore dollars as well as the euro and pound sterling — which will help them minimise foreign exchange risks. “Let’s say the individual invests in Australian dollar assets. He won’t be impacted when the ringgit strengthens against the Aussie,” he says, adding that the spread the bank charges clients for borrowing via Wealth Power is 1.5%. Will investors suffer a loss after taking into account the spread? Pramod says this is unlikely to happen if they have a longer horizon and invest in the recommended unit trust funds under the facility.